Aetna (AET)'s CEO gave a harshly critical review of the federal government's Obamacare marketplace Tuesday, saying "there's so much wrong, you just don't know what's broken until you get a lot more of it fixed." 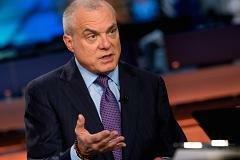 Asked on CNBC's "Squawk Box" if he knew the roll-out of the federal Healthcare.gov website would be problematic, Aetna chief Mark Bertolini said his giant insurance company's role as an alpha tester for the system gave it a sense of how many problems the health insurance marketplace was facing on the eve of launch. Since then, Bertolini said his fears have been realized, and the technological debacle seen at Healthcare.gov is one similar to just the handful he's witnessed in his career. "It's nothing you ever like to repeat," he said. "Because it's very difficult. I've been there. It's career-ending in a lot of cases." "It's all been on the fly," Bertolini said of the construction of the marketplace, and the integration of insurers like Aetna whose plans are being offered for sale to up 40 million customers. "We didn't get code drops until the last month before the system went live," he said. Healthcare.gov was besieged by visitors to the site went it launched Oct. 1, and has struggled since then to deal with a raft of software problems, including transmitting data to insurers and even allowing people to shop for plans. It is not clear how many-or how few-people have even enrolled in insurance plans sold on the website. Asked how long the marketplace, also known as an exchange, will take to fix, Bertolini said, "That's the big question." "I think the bigger issue is: Will enough people sign up to make it work?" said Bertolini, whose company, like other insurers, is counting on enough young, healthy people enrolling in the insurance plans to offset the costs that come from providing benefits to older, sicker Americans. "I think the attention span of the younger generation in using technology is that if it doesn't work the first time, it's going to be pretty hard to get them back the second time," he said. "If the program blows up because people don't sign up, then the program's not going to move ahead either all that well." Open enrollment in the Obamacare policies closes March 31 . Asked if that was enough time to correct the system's problems, Bertolini said, "I don't know." Asked if he would have delayed the launch of the exchange given its earlier problems, Bertolini said, "I would have, if I'd been in their seat." But "the politics got in the way of a good business decision," he said. However, Bertolini also said, "It's the law of the land, number one. Number two, public exchanges are going to be here to stay, so we need to make them work somehow ...The question is: How do we get from here to there?" He predicted that it could take three years or so before the marketplace's problems are fully sorted out. How will the Obamacare exchanges work?